Before Prohibition, many American distillers added small amounts of fruit juices to sweeten the whiskey as it aged in wooden barrels. We revive this classic style of whiskey production by juicing world-renowned Montmorency tart cherries from Michigan, and blending the juice with our whiskey. The spirit then rests in our used bourbon barrels, giving the flavors time to marry and mature while drawing out notes of vanilla, marzipan, and spice from the barrels. 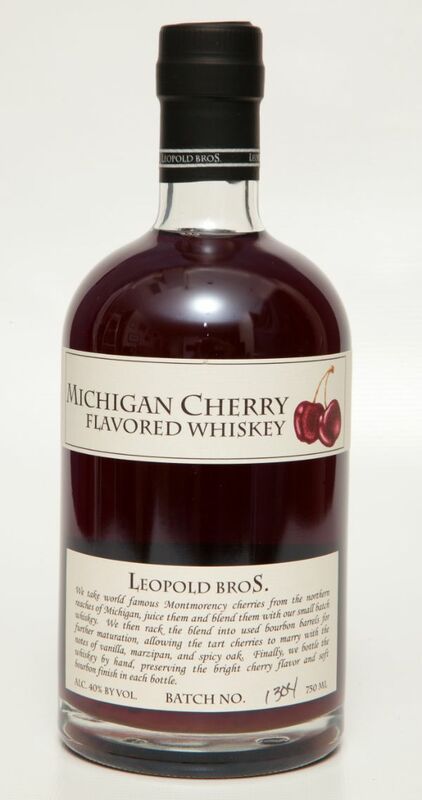 Like all Leopold Bros. spirits this is bottled by hand, to preserve the bright cherry flavor, full burgundy color, and soft whiskey finish.